Volume 25 of The Annual is dedicated to the memory of Michael Franz Basch, who achieved distinction as both a psychoanalytic theorist of the first rank and an authority on the nature and conduct of dynamic psychotherapy. A wide range of original contributions bear witness to his theoretical, clinical, and educational interests. A number of papers remind us of Basch's prominence as a self-psychological theorist: Elson's self-psychological reappraisal of self-pity, dependence, and manipulation as self-states; Ornstein's developmental perspective on power, self-esteem, and destructive aggression; Tolpin's review of sexuality from the standpoint of normal self development; and Wolf's discussion of self psychology and the "aging self." Basch's life-long educational concerns gain expression in Goldberg's discussion of clinical teaching, particularly the challenge of leading of case conferences; and Ornstein's and Kay's thoughtful consideration of "enduring difficulties" in American medical education. 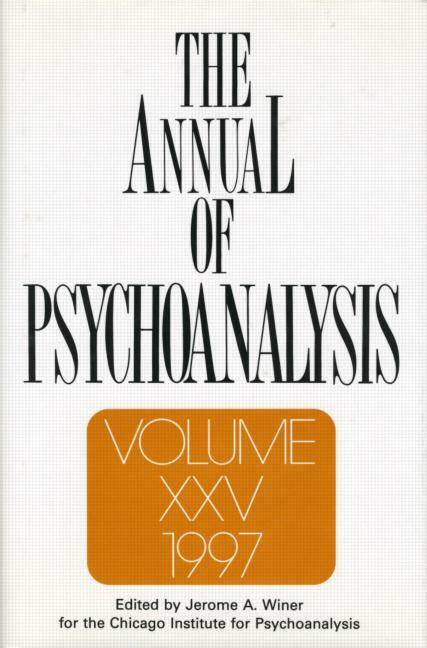 Additional highlights of the volume include: Fawcett's consideration of the role of pharmacotherapy in psychodynamic treatment; Jaffe's consideration of the applicability of hierarchical models to assessment and intervention in brief psychotherapy; Galatzer-Levy's review of the "witch" metapsychology; Gedo's analysis of mythic themes in the operas Don Giovanni and Der Rosenkavalier; Modell's reflections on metaphor and affects; and Kernberg's discussion of a "new psychoanalytic mainstream," which he compares and contrasts with a parallel convergence of Kohutian and interpersonal analytic approaches. Many of these contributions incorporate reflections on Basch as a teacher and colleague, and the entire volume is framed by Goldberg's moving tribute. Analysts and psychotherapists sharing Basch's commitment to academic and clinical excellence and his keen awareness of the pragmatic requirements of doing effective therapy will find in Volume 25 a cornucopia of riches.